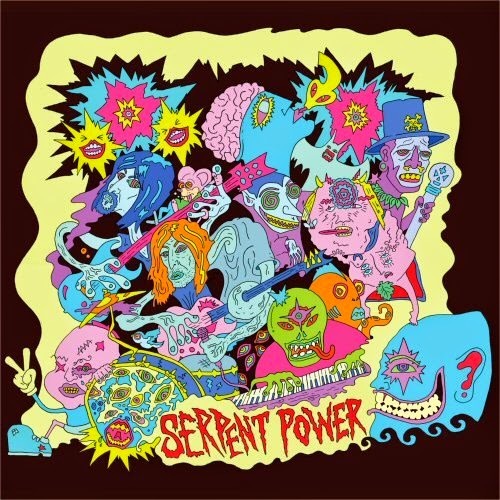 Serpent Power are a new psychedelic super group featuring members of The Coral and The Zutons. Their self-titled debut album is out today. Stuart Ralston gives it a spin. A collaboration between Ian Skelly (The Coral) and Paul Molloy (The Zutons), the self-produced 12-track album was recorded on Merseyside at the end of last year. It's released on Skeleton Key records, home to some of the great moments of 2015 so far with The Sundowners and Blossoms. 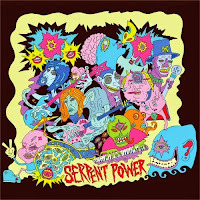 Serpent Power continues that fine tradition of one of the most exciting labels out there at present. Opening with Dr. Lovecraft’s Asylum, it's almost like an out-take from Sgt Pepper's Lonely Hearts Club Band. This theme continues on the laid back The Man Who Shrunk The World, which sounds like a homage to George Harrison. Lucifer’s Dreambox sees a shift in style with a space age / Telstar tone. The instrumental ending is epic and a real highlight. Candyman is much poppier than the opening Nuggets/psychedelic onslaught but still manages to sound as if it was recorded by Harrison and Lennon whilst Paul and Ringo were on holiday as does Killer Cherry Pie. The punky Vampire For Your Love marks a slight shift in style before the White Album influenced Life Is A Ball. This self titled debut is sure to please fans of both The Coral and The Zutons with it being heavily steeped in Merseyside psychedelia. Serpent Power are on Facebook and Twitter.